Throughout history, colonial plantations have dominated territories and deliberately destroyed traditional systems of self-production that were previously based on custodianship with nature. Plantations have historically been constituted through colonization and slavery. From colonialism to the “green revolution”, and now the “green economy”, small farmers and traditional communities have been marginalized by large-scale, export-based agriculture. Traditional agriculture systems have been devalued and seen as under-productive inside the dominant economic development model which has led to policies that center unremittingly on markets and profits for the elite classes. The needs and interests of local communities are not taken into account by this narrow vision of mass production. Consequently, the skills and knowledges of traditional communities have been relegated to the “informal economy”, particularly for women. The result has been large land grabs that have caused evictions, pesticide poisoning, loss of biodiversity, pollution of waterways, and outright destruction of cultural traditions, land fertility and survivability. In the face of this destructive model social movements and community groups have continued to resist against incredible odds. Local populations have been fighting to survive by recuperating lands while simultaneously protecting natural resources and producing food. Without resistance to extractive industries and the destructive agro-industrial model, much of the remaining biodiversity on this planet would have most likely already been lost. Although everyone in this photo essay is living a form of continual resistance, this final section highlights just a few of the many acts of stewardship and community resistance in the region. 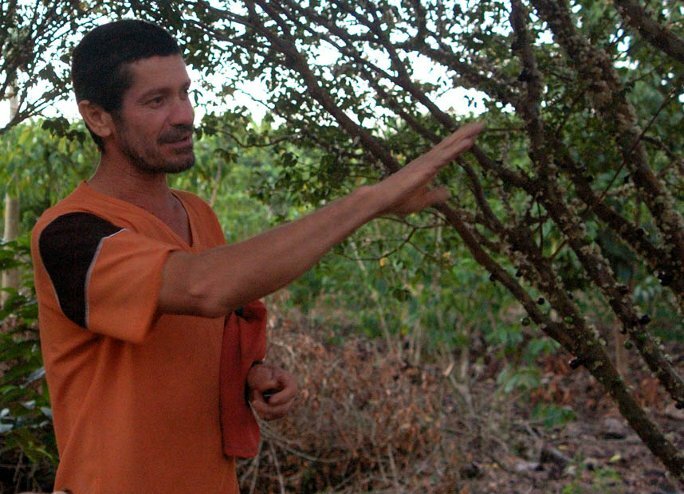 In 2006 Quilombola communities of Sapê do Norte reclaimed nearly 10,000 hectares of lands from Aracruz Cellulose. This land previously linked two communities between the community cemetery as well as important waterways and agricultural areas. Since reclaiming this territory, Quilombolas in the region have continued to take back lands for local agriculture by carefully reconverting previous eucalyptus plantations to food crops using traditional and agroecological methods. 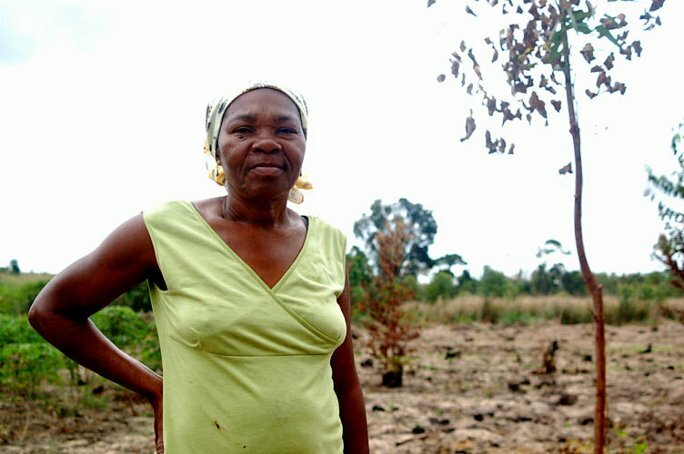 After several successful land reclamations, people from the Quilombola communities began clearing eucalyptus and recuperating the lands using small-scale agroecological methods. 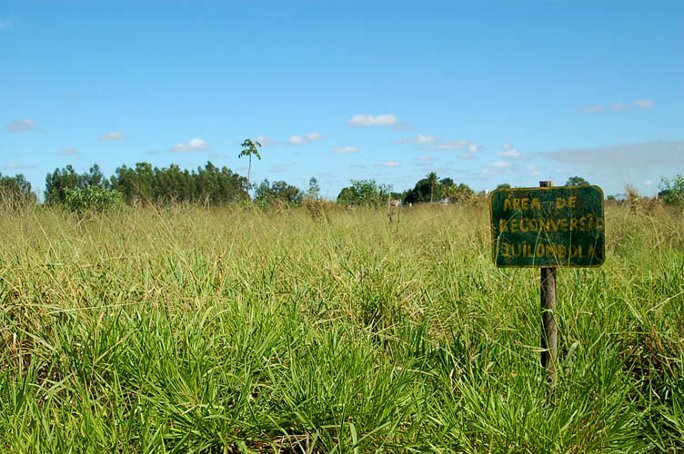 Around 70 hectares in São Domingos and 35 hectares in Angelim 1 were converted into food and living spaces that people reclaimed from Fibria-Aracruz Cellulose. “This area was full of eucalyptus. After they harvested, we occupied it in order to plant what we need: pumpkin, cassava, maize, beans, bananas and cassava. No one can afford to buy food. I have seven children and 12 grandchildren. My home was inherited but there is not space to build a house for the children. So we are occupying here and in a few days we will need to build another small house to live in, because while I’m alive it is all right, but after I die where will my children and grandchildren survive? It has to be here. This area has been called Sapê do Norte since I was born. After it was planted with eucalyptus, everything went bad. The streams dried up. There were no more fish. And I am afraid of the water that we still have. One day I was in São Domingos and I had a bath from hot water and it gave me a terrible rash. The future I want is with this land because I can work here, I can have chickens and a pig. When the eucalyptus was here they applied pesticides. The poisons they used damaged the area a lot. Now we want to work the land using only chicken manure, cattle manure and rotten wood powder. “I was born and raised here. Before, everything was Sapê do Norte, it was native forest. It was wonderful. Later, this company [Aracruz] arrived and we did not know where it came from and they started taking over lands. Some people sold, but my mother’s land which was inherited was never sold. There is a lot of unoccupied land that is ours. The three hectares that I live on today is Dona Carmelita’s, it is not mine, but I fight for the legacy my mother left. Now I cannot give up working. I have three sons, daughters and grandchildren. I ask God for strength so that I do not get discouraged because I need a house. I have the right and I need a place for me and my children to plant, harvest, live, and create. We plant everything here: mandioc, apim, pumpkin, beans, corn, cucumber, okra, seeds and seedlings. We have many memories. We also need to rescue the water, because it was destroyed. There are no more fish. We at least need the water to drink, cook, and wash. This area was full of eucalyptus. After they harvested, we occupy the land to plant food. We cut the mandioca flat, after it gives roots and grows, we pluck, shave, dry, and roast it to make flour and bread. I love this work. “When there was eucalyptus here people were sicker, we would plant something and it would not grow, it was dry, and people could not work near the eucalyptus because of the pesticides. We saw that it was a poisonous and we could not be near it. Today it feels more comfortable. After they applied the poison and the wind blew, we could feel it in our homes. The smell was horrible. Five years back after they cut the eucalyptus the forest became healthier, there was more water in the streams, and some fish appeared. A water spring close to my home is now very clean and we are happy to see nature returning. “I was born and raised here. Since I was seven years old I have worked with manioc. At nine I worked with the roots and at 12 I started making flour to sell and earn money. More than half of the land here was taken. I and the father of my children had a garden with sugar cane, banana and manioc. It was so beautiful. When they came to destroy the forest they went inside the garden with blades tied to two tractors. I cried to see what we fought so hard to build all trashed. We do not use poison [pesticides] because it is dangerous. But sometimes it’s hard for me to do everything alone because the children do not want to help me and I have no money to pay someone to help me. So I have to plant less manioc. The company promised us jobs but there were none. The only thing that came from them was a well, but still there is no plumbing. 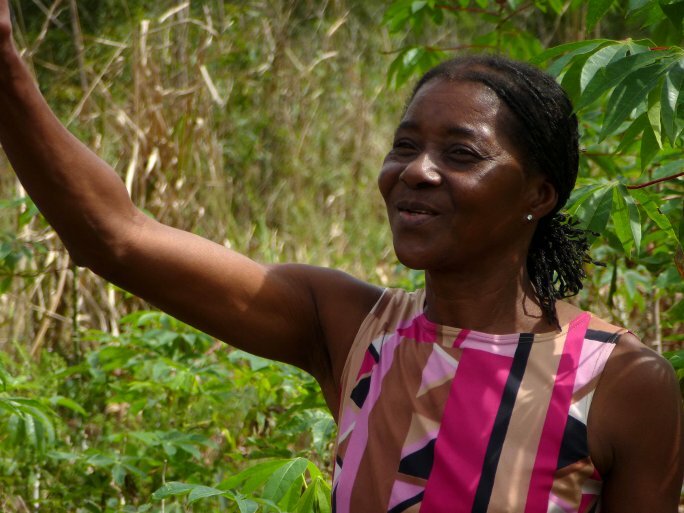 Women play a crucial role in traditional and agroecological practices. Through the use of traditional skills and knowledges women hold together local economies and systems of healthy food sovereignty. 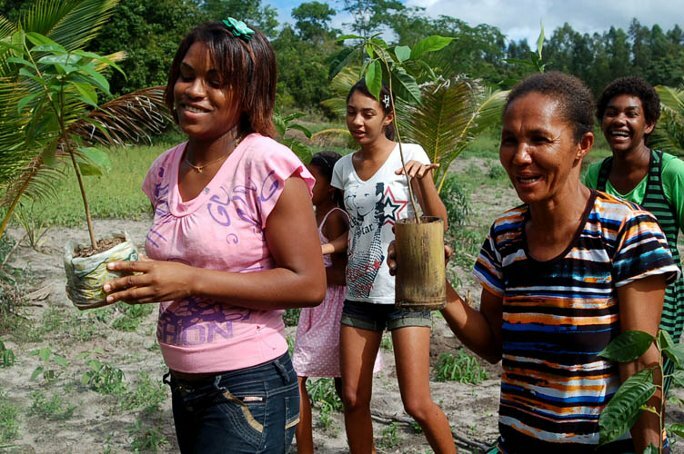 Quilombola women of Sapê do Norte meet on a regular basis to organize and support each other through a minga, by planting native trees and crops on each other’s lands and exchanging seeds. They discuss specific needs in their respective communities, share resources, experiences and eat together. “To talk about women is good for me and at the same time brings some difficulties because it requires talking about motherhood and adolescence. Women today have experienced much difficulty in rural areas because there are no jobs. In order for women to work in agriculture it calls for physical labor, at the same time men also need to have a monthly income. This makes the woman feel a bit apprehensive to be entering for example, Plantar, which has caused many problems in women’s health. Women have difficulty even getting to a health facility. Women’s health today is difficult to maintain. We are without a health agent because he did not elect a woman in the public tender, which will further hinder women’s health. Women in rural areas perform so many activities but they are not recognized. 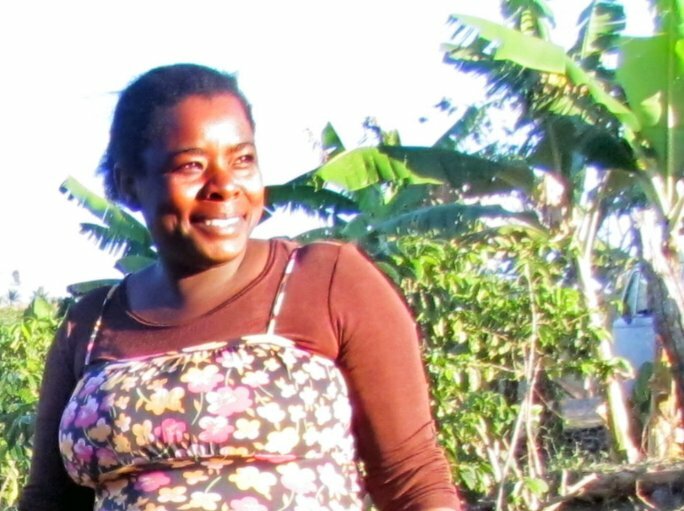 During the coffee harvest, many women move from their homes, leave at 5 am to harvest coffee and only return at 5 or 6 pm. So they are away from their children who go to school and they don’t know exactly what happens inside their homes because they are not with their children. Brazil is the world’s largest consumer of agricultural pesticides. The Brazilian pesticide market is estimated at US$8.5 billion dollars according to the Brazilian Chemical Industry Association, second only to the United States. In addition, pesticides banned in many countries continue to be used in Brazil, including acephate, acifluorfen, cyanazine, endosulfan (which is slated to be phased out in 2013), fluazifop-P-butyl, flufenoxuron, formesafen, imazethapyr, lactofen, paraquat dichloride, parathion-methyl, permethrin, profenofos, sethoxydim, thiodicarb, tolifluamide and triazophos. The majority of these chemicals are produced by multinational companies such as Bayer, BASF and Syngenta. Fungicide use nearly tripled between 2006 and 2011, a chemical used to combat diseases such as soybean rust. Insecticide use nearly doubled in that same period and herbicide sales increased almost 45%. Linked to the increase in pesticide use is the increase in genetically modified (GM) seeds. Areas planted with GM seeds have more than tripled, from 9.4 million to over 32 million hectares since 2005. Large-scale industrial agriculture requires the excessive use of pesticide, insecticides and herbicides because large-scale monoculture renders the crop vulnerable to many diseases. An important step to stopping the spread of these poisons, which severely harm the health of local populations and the environment, is to stop monoculture plantations. Campanha Permanente Contra os Agrotóxicos e Pela Vida (Permanent Campaign against Agrotoxic Chemicals and for Life) is active in building networks and reclaiming spaces for healthy traditional and agroecology practices. Antonio moved from the Quilombola community of Córrego do Chiado to a favela in Rio de Janeiro to look for work when he was barely an adult. He returned to his homeland with a strong desire to reclaim lands from the disastrous eucalyptus plantations and return them to thriving agroecological lands. He has been doing this ever since. “We occupied an area that was previously a eucalyptus plantation for four decades and now we are returning it to sustainable forestry with plants that we want to give back to nature and at the same time nature will give back to us. We want to give nature back the food and work with agroecology. The planet needs agroecology and people are scattered in various places on Earth who care. The farmers’ practice is to use tools that are sometimes made fun of, but they have a real value, when used for good. They can cut eucalyptus and acacia shoots, and kill them. Nature can offer so much, people have in their heads that they have to kill the forest and plant eucalyptus. Still we have so much eucalyptus. It is a scandal what is happening here in Sapê do Norte, it is horrible! And food security has become intolerable. There is a lack of food. In the north of Espírito Santo we lack grains, beans and corn. 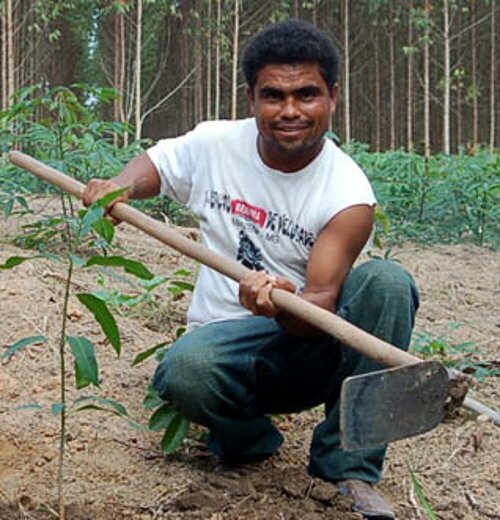 The project that we want to bring to these areas is reforestation and food production. We are growing coconut saplings to plant and reforest with native plants while also coconut is a fruit that can produce 5-6 bags of beijou and it is very rich in protein. We’ll work with this logic of food security. We are also growing Jamelão seedlings that we take with us today to the occupied areas. At the same time, in this small cultivated area we will go to we can bring back with us some eggplant seedlings. What really strikes me is the water issue. There are 150 streams that are dry in Sapê do Norte due to the agriculture development model such as eucalyptus and other large-scale monocultures. Imagine one person to have to water 2 million coffee plants every day, taking the water from the streams and rivers. The region here is 70% covered by eucalyptus and sugar cane. So the streams do not support me and this effects me every day and I want to preserve so much. The water needs to be recovered. Another thing that strikes me is to remember our past. Since 2007 when the cemetery that was covered in eucalyptus was occupied and now it is producing agroecology. Besides the coconut saplings and Jamelão, we will also take banana saplings for planting in this recovered area. When you plant foods, you do not plant just for you, they are for other people to eat and for the animals too. 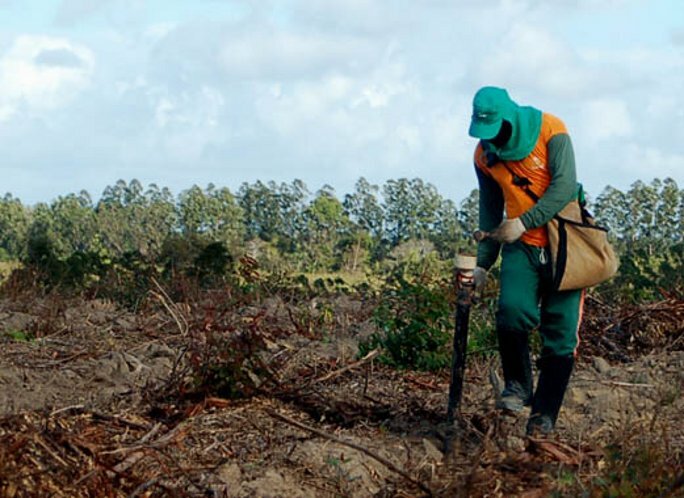 “Espírito Santo has the highest consumption of agrotoxics [pesticides] than any other state in Brazil. The crops that use the most agrotoxics here are coffee, eucalyptus, sugarcane, papaya, passion fruit, and other fruit trees that are commodity crops for export. In coffee cultivation, for example, they use at least 24 types of agrotoxics throughout the year. This has a huge impact on nature and on people’s lives; greatly increasing cases of poisoning and cancer, leading to death. It is an alarming situation that has lead our movements to build a campaign against agrotoxics and for life in order to denounce this model and build alternatives for farmers. We have observed a high rate of cancer in the municipalities where monocultures predominate. Public documents show that these municipalities are the most demanding on the State Department of Health for anti-depressant medications and chemotherapy. This is a direct link between the use of agrotoxics and disease. Some physicians tell their patients that their illnesses are related to poisonings but at the time of reporting they omit the documents. The MPA and the movements of La Via Campesina have been working hard to advance agroecological experiments; proving that agroecology works, is viable and is able to feed the world. Small farms that are producing in a diverse way agroecologic crops are producing much more than the conventional system with much more diversity, more quality and family and youth are in the field with gusto. Agroecology is a solution not only for rural areas but also in the city because agroecology is not only the production of healthy food, but also to live a higher quality of life in the city. The youth work in the fields with much pleasure, motivation and income. More and more families are adopting the system for the transition from conventional agriculture to agroecology. 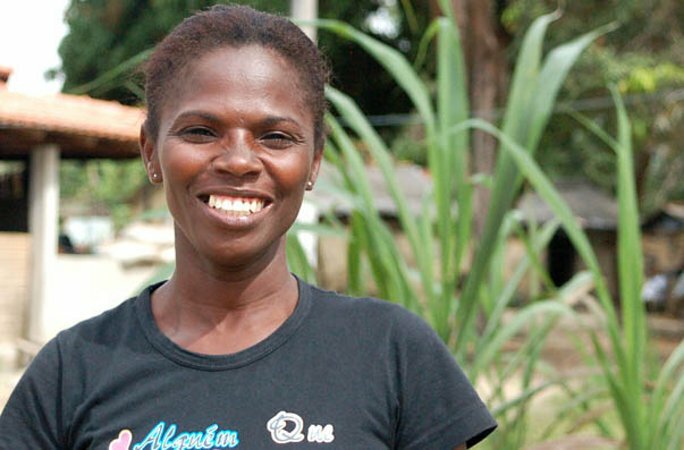 Cristina is an industrious farmer and mother of three children who works on her family land in Farias. 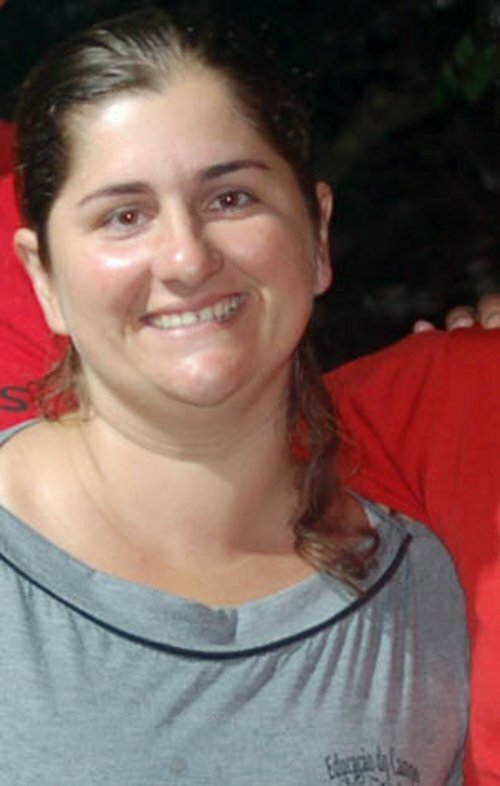 She and her partner, Elias (see Part 3) are active in the Movimento dos Pequenos Agricultores (MPA). 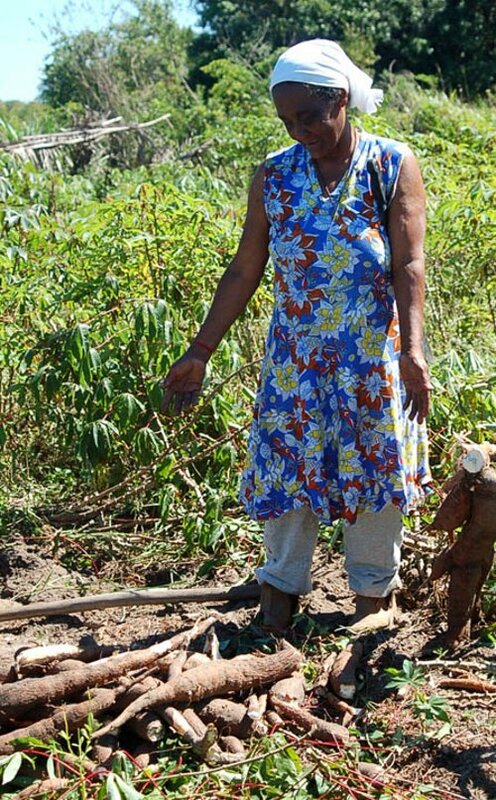 Her family has struggled years of repression from the eucalyptus plantation companies. “Resistance in this context is not something very simple and today we have a great social contradiction. There is a policy for every incentive given to agribusiness, monocultures for large-scale production as well as to use chemical poisons, and fertilizers. But to produce crops in a natural way, there is a block. While I understand that there is a real need for conservation and preservation, but securing a public policy for this type of farming which we call agroecology, is still a challenge. However within this challenge, we ask two important questions: one is the producing in a natural way without poisons, and another challenge is the marketing of this production. Here in our region, some families have been able to overcome these challenges but they are not easy. Our family, for example, has been fighting for 10 years to make a clean production on our property and we are still in a process, we can not totally get rid of chemicals, but we believe we are very close. We do not use any kind of poison on our crops. We still use a little chemical fertilizer but a smaller dose than before. Today we have a marketing proposal that we consider extremely important that includes an alliance of rural and city workers that work in the markets. Previously to lived with the idea that we produced everything, all the food, meat, everything we needed to survive with dignity. We also did not have much money, that’s a fact, not many had access to things like clean water, energy, or a computer … that didn’t exist. But families lived with dignity. With the advent of the green revolution, my father says that roughly in the ’80s when agronomists came here, they said: “Mr. Domingos, if you continue producing this coffee without chemical fertilizers, we have no way to sell your coffee.” Then he began to use chemical fertilizers and poisons. There was a large incentive to be involved in the so-called “modernization” of agriculture. Only this modernization was not for us. What has this brought us? A dependence on chemicals, fertilizers, poison, monoculture, because in order to be modern, you could not produce everything, even the food would be bought at the supermarket. You had to buy it! So it created an illusion that the “modern” was very good and the government at the time very much encouraged this, including those who used apparatuses of the State for technical assistance to come to the field, to make farmers believe the fact that modern agriculture would be important in the countryside. What happened was that farmers no longer produce food instead they produced monocultures with chemicals. This generated a false illusion that there was a lot of money. But actually, the money began circulating and then this money was reinvested to buy more poison, fertilizer and to buy food and medicine. But before we had teas and others who produced this, but this culture was destroyed too so now we have to buy the medicine and you can see that the people are sicker now than before, because people poison themselves in the fields and we also eat the poisoned food without knowing where it comes from. So the idea that modern would be good, created a stigma in the minds of people and the farmers themselves have come to believe that it was natural, it was natural to buy food, which produced the idea that chemicals are natural. Eventually we have forgotten some of the traditional forms of production; to observe the moon phases, to observe the type of soil, and types of seeds. Seeds were something essential for handling in this culture. Agronomists came with “improved” seeds that we could plant and have a much larger production. Except that oddly enough, these seeds do not reproduce. Before you planted once and then you could grow them again, now you have to go the store and buy seeds again. So we ended up losing what we had which was so important, the control of our native seeds. The amount of money we have spent to invest in the purchase of seeds, poisons, fertilizer, medicine and food, has become a very strong vicious circle. Many farmers believe to this day that this circle is natural because they are thinking in a modern condition. We began participating in a social organization a few years ago, the MPA (Movement of Small Farmers), an organization that realizes that we have entered a vicious circle and that we have not necessarily been in it to be modern. We become servants on our own lands, working for multinationals. We discovered that, which was not very easy. We began to see that we have no more control over our production. We realized that if we organized we could break this vicious circle, which was very painful because it requires an entire reconstruction of the soil that is already worn out because of the use of chemicals, and requires labor to produce again with diversity. In conventional agriculture, with monocultures, a man with the chemicals makes the crop production. In traditional agriculture it is different, the whole family is involved in the process: a child will collect wood, the wife takes care of the garden and the foods that are around the house, the husband goes to weed the beans, there are several types of jobs that involve the whole family. In the process of conventional agriculture, the whole family was excluded. Reversing this is not easy and even requires a lot of studying and takes practice. I would say today the “modernization” is to produce naturally. Being modern today is to understand the moon phases, when to plant roots or lettuce … it is to understand how to make a syrup so you do not need to use chemicals in the fields. Modernizing today is much more than the conventional package from Monsanto or Bayer. We now understand that to be modern and be freed from multinational companies that we need to move towards food production.